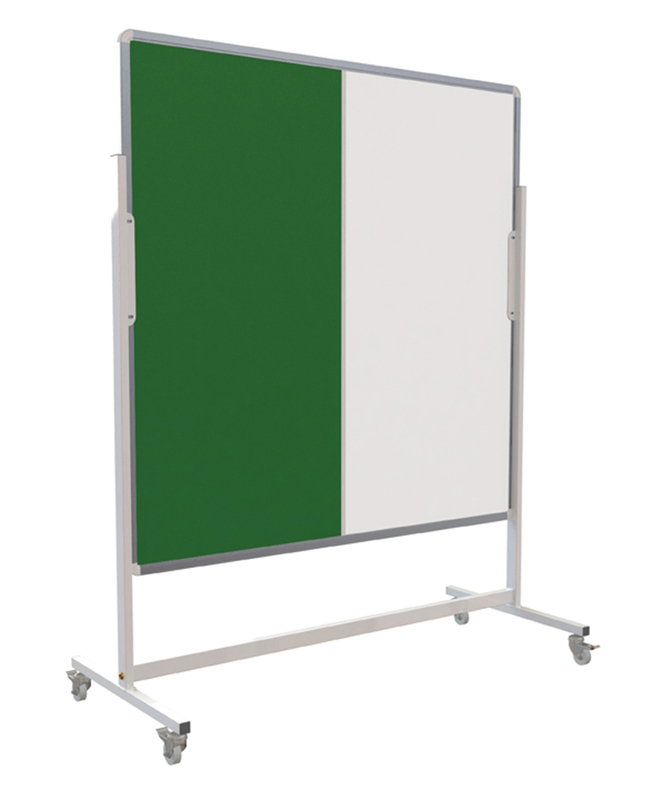 This mobile pin up writing board is a double sided combination of pinboard and whiteboard. Available in 4 sizes the board has a sturdy stand with 4 locking castors so it can easily be moved and locked into position. The notice board is covered in felt which can be used with pins or staples and comes in 4 colours. The whiteboard has a non-magnetic surface.